FILE PICTURE DATED Monday March 22 2004. EXCLUSIVE: Leonardo DiCaprio wears a T-shirt bearing a "Leo Beer" motif whilst he refuels his environmentally-friendly Toyota Prius Hybrid car. Later the "Titanic" actor picked up some takeaway food from "Jerry's Famous Deli". 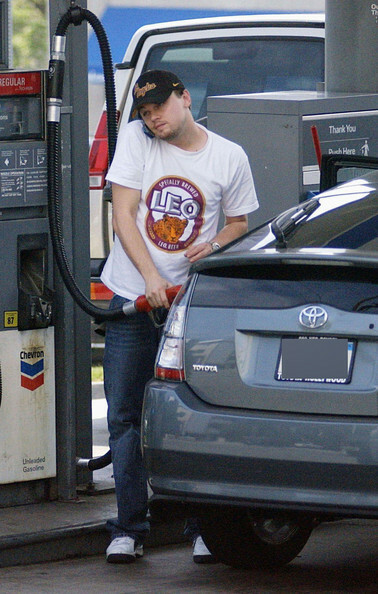 Leonardo DiCaprio showed off his Leo T-shirt while gassing up.